The Symphony Music Shop has offered the best musical instrument rentals throughout southeastern MA and RI since 1962. All types of top quality musical instruments can be rented on a monthly basis. 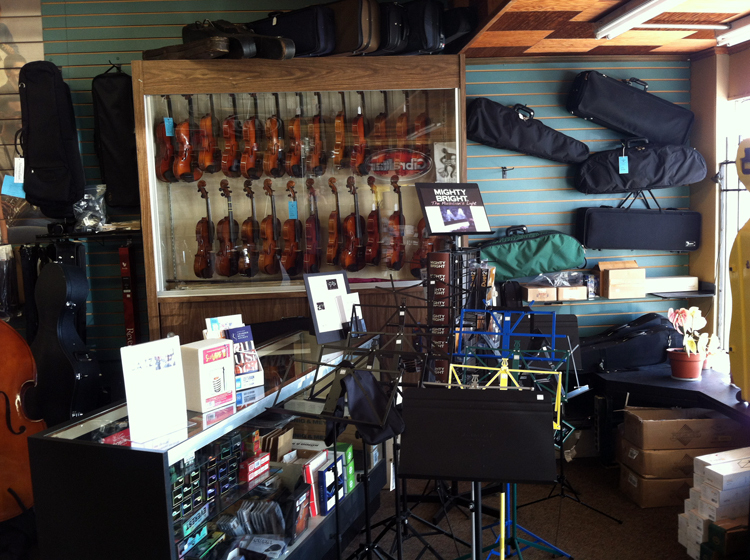 The Symphony Music Shop backs all of its instrument rentals with dependable, professional service and integrity. For decades, music students from New Bedford, Fairhaven, Mattapoisett, Marion, North & South Dartmouth, Freetown, Westport, Fall River, and surrounding southeastern Massachusetts towns have rented their instruments from The Symphony Music Shop in North Dartmouth, MA. We rent instruments to over a dozen schools in the SouthCoast MA region. Our experienced staff can help you make the right musical choices and select the perfect instrument. We're sure to have a rental plan that is right for you! Rental rates include maintenance & insurance. Rent-To-Own - Monthly rental, all rental payments apply to instrument cost, may return instrument at any time to cancel contract. Rent-To-Own Early Payoff - Same as monthly rental, with 30% discount if rental is paid off before 4th month. Discount Buy-Back - Not a rental, but a unique purchase plan that offers a 40% discount off the retail price (30% off used instruments) with instrument return / refund privileges in four month increments. Please ask for more details about this cost saving plan. Enter your email address below, and click "Subscribe." Your email address will be kept secure. © The Symphony Music Shop - All rights reserved.